Description: Large Sink unit to house a 60cm ceramic sink. 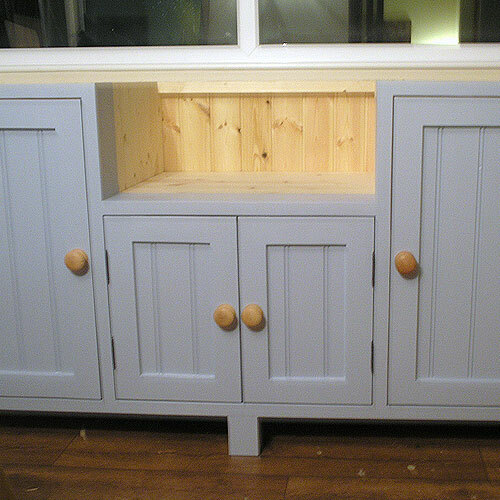 Symmetrically designed to offer central sink with double cupboard under. Full height cupboards at either side, each with one internal shelf. 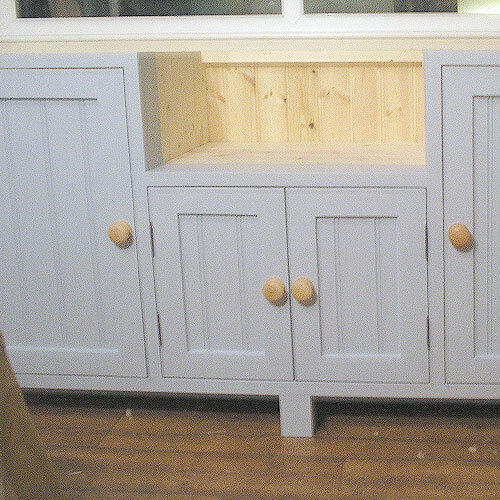 Complete with 4cm thick Pine Worktop and wooden knobs as standard. Drainage grooves can be cut on the side of your choice. Size: 180cm wide, 60cm deep, 90cm high. 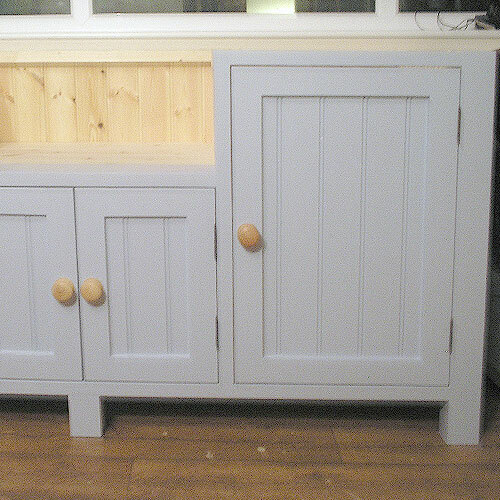 Colour shown: Farrow and Ball, Parma Gray.